Class Secretary Victoria McElhaney Benedict is always in need of news to include in our class notes in the PAW. 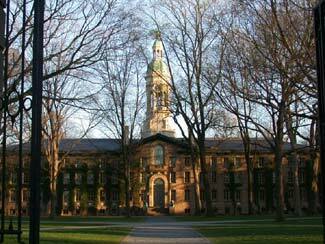 Please keep sending your updates to Victoria at vicky@alumni.princeton.edu. HAVE YOU PAID YOUR CLASS DUES YET? There is no time like the present to pay your dues. And dues are now payable ONLINE! Please go to the Class Dues page for more information. If you cannot remember if you paid your dues this year, please check the Acknowledgements page for your name. Remember that all donations and class dues are tax deductible. Your class officers welcome your input as well as your involvement. Please contact us with ideas and offers to help organize regional class and community service events. Be sure to check our class calendar on this site for regional mini-reunions and other fun class events!! Our new class officers are getting settled. Class vice president, Jonathan Peele, has started the process of updating this site.